Google is continuing on its mission to help us all plan our vacations more efficiently. Its latest efforts are designed to bring the various elements involved in planning a vacation together using the whole of Google, including Search, Maps, and Trips. 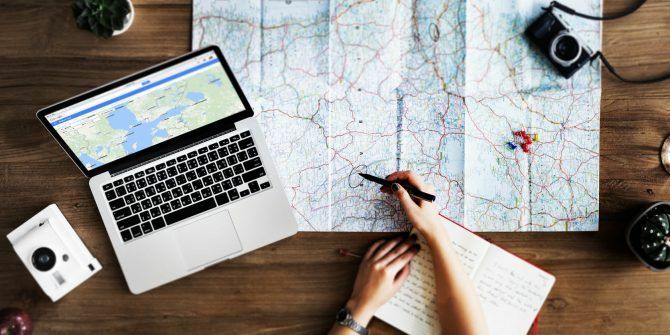 In February 2018, Google aligned its vacation planning tools You Can Now Plan Vacations Using Google Search You Can Now Plan Vacations Using Google Search Google is improving the way it deals with searches related to vacations. In particular, vacation-related searches made on mobile devices. Read More . The company realized that unless you pay a premium for a package holiday, there are so many elements involved that vacations can be a pain to plan. And now it’s improving its planning tools again. Google explains the most recent changes in a post on The Keyword. The overarching theme is stitching your trip plans together across Google. And that’s the point. Google wants to be the one tool to rule them all when it comes to vacation planning. The first improvement allows you to resume planning where you left off. This means that even if you haven’t booked anything, when you search for a popular travel destination Google will show you relevant suggestions in Search. As you start booking parts of your holiday Google will further customize your search results. For example, if you’ve already booked a hotel in Rome, the next time you search for Rome Google will show you flight prices, the weather, and any events taking place. Google is also expanding your ability to track flight prices during the holidays. The company already offers this for Thanksgiving, but will now extend this through Christmas and New Year. This should save you paying over the odds for a flight. Last but not least, Google wants to help you choose a hotel based on its location. To enable this Google is assigning each hotel a location score based on information pulled from Google Maps. You can then pick a hotel based on its proximity to your interests. Individually these changes are all fairly minor, but when combined they add up to a collection of tools almost guaranteed to make it easier to plan your next vacation How Google Can Help You Plan the Perfect Summer Vacation How Google Can Help You Plan the Perfect Summer Vacation Vacations are complicated to plan. Airplane tickets, hotel bookings, tour schedules and budgets can get overwhelming. These Google tools, tips, and tricks make it easier to plan your next trip. Read More . As long as you’re willing to give Google access to all of this information about your trip. Explore more about: Google, Planning Tool, Travel. I never knew WhatsApp had all these capabilities, this is really great. One thing that I think should be considered is a feature that allows for video call users to watch a video or movie simultaneously while on a call.